To say I'm excited and elated is an understatement. This has Gary's fingerprints all over it and it shows. So, Yggsburgh and Dark Chateau are on their way - all that is left to do is track down a copy of East Market Gazetteer and I have the kit and caboodle. Oh yeah, the dungeons, I forgot about them. Well thankfully, Joseph Bloch over at http://greyhawkgrognard.blogspot.com/ has created The Castle of the Arch Mage and its been made available to download at his site. It connects perfectly to the Upper Works and is amazing. I took it to Staples, and had it printed in a set of spiral bound booklets single page so I could keep/make notes on each page. 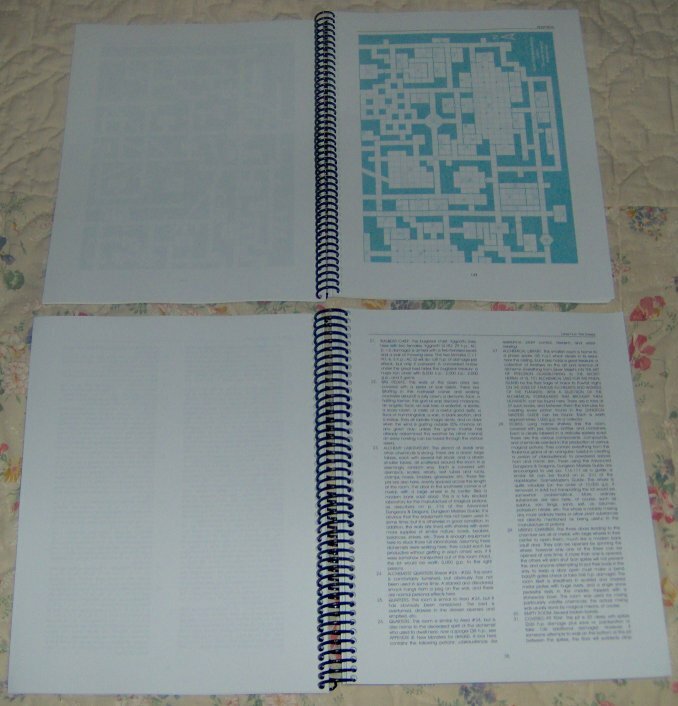 I even had the maps bound separately to make my life easier.